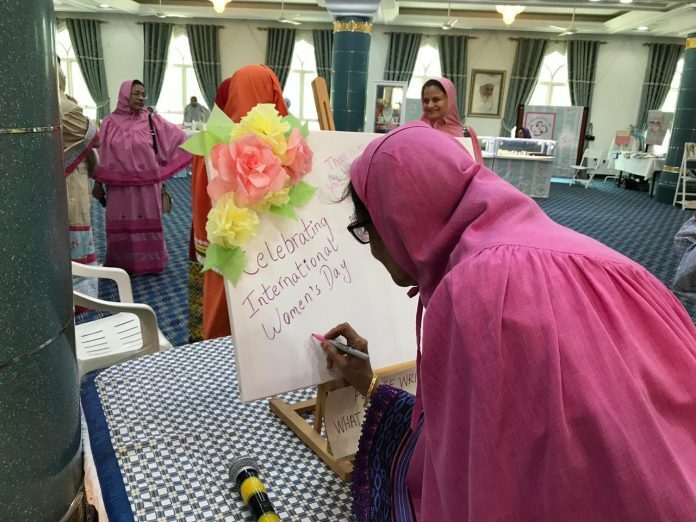 Dawoodi Bohra Women in Dubai held an exhibition to celebrate International Women’s Day. 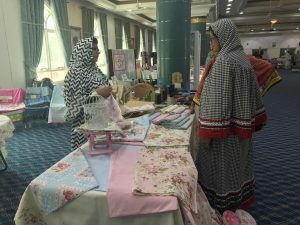 A women’s market was set up in Najmi Hall where more than sixteen brands came under one roof displaying an array of intriguing products. More than 150 people attended this event to encourage those who participated and shop from the variety of collections available. It provided an opportunity for women to advertise their products, reach new customers and learn innovative ideas from other businesswomen and professionals present there, so as to help their businesses grow and flourish. The event underscored how Bohra women today are succeeding and making a mark in home grown and established businesses. 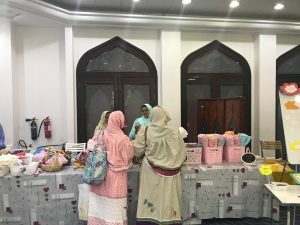 From making home made spices, mouth watering desserts and intricate ridas to selling halal leather products and home decor, the women participating in the event exhibited not only their products and skills but the underlying entrepreneurial spirit and dedication that drives such enterprises. It was interesting to hear inspiring stories of each individual’s journey, struggles and achievements and how today these women strike an effective balance between family, household chores, community service and business. Dawoodi Bohra women are encouraged by His Holiness Dr Syedna Mufaddal Saifuddin TUS and the community to start their own businesses and excel in their respective fields.